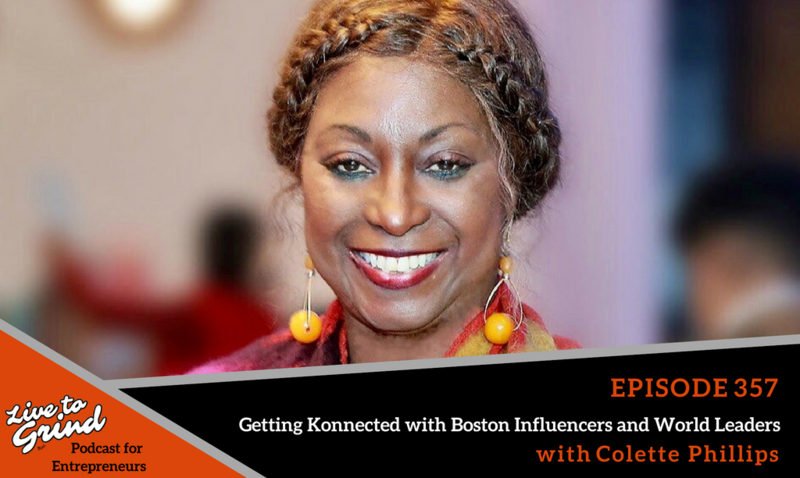 Colette Phillips is bringing influential people from all cultural background in the city of Boston! She shares how the Get Konnected events were created and her inspiration behind it! What the four best principles you should always live by and how we all came into this life with a purpose! – Colette shares her journey through creating Get Konnected! – While bringing so many influential individuals together, Collette shares her experience with meeting world leaders and how they’ve inspired her. – What are some of Colette’s best advice for success? – Colette shares the 4 C’s you must always have throughout your life. Colette Phillips Communications, Inc (CPC) is a pioneering public relations and marketing communications boutique firm. We serve as trusted advisors and strategic partners to our clients including members of the C-Suites, providing strategic public relations and branding counsel, community, and consumer engagement, diversity internal/external communications, corporate citizenship, C-suite personal branding, and on-boarding.